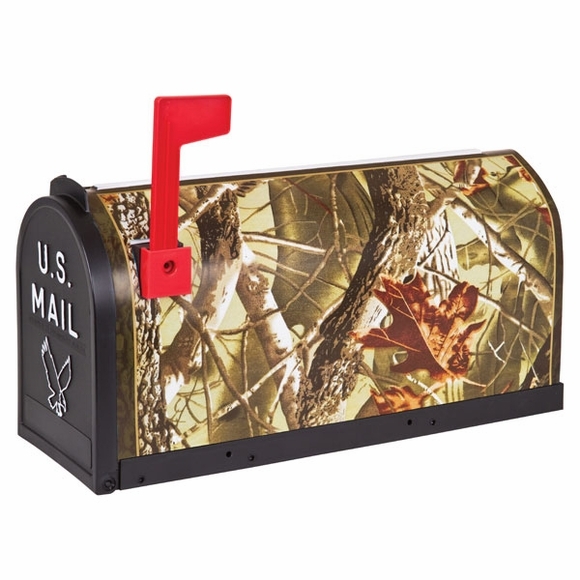 Camo Curbside Mailbox - - standard size post mount mailbox decorated with a camouflage design. Black mailbox includes traditional red flag. Plastic mailbox with internal strut construction for strength. The decorative camo scene is printed on a plastic slide-on insert and attached during production. See Related Products for other Scenic Design Mailboxes.